Even as a spectator you can be a part of the action with one of Winslow’s spectator chairs. 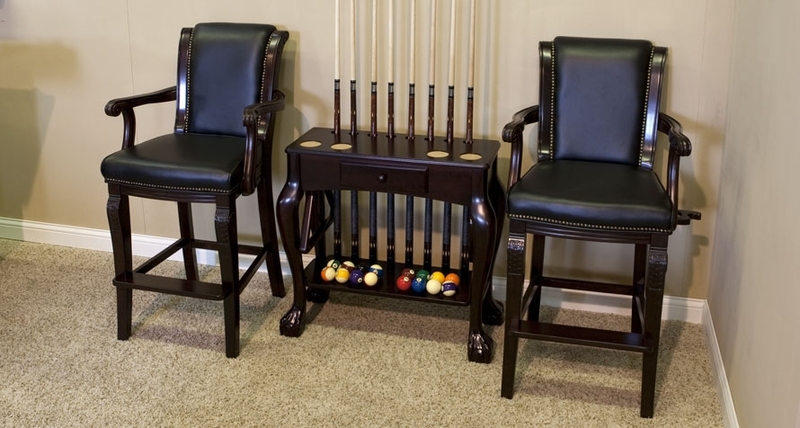 The sleek leatherette-covered cushions provide the support you need to watch a game of billiards, or to settle down a little before your next play. 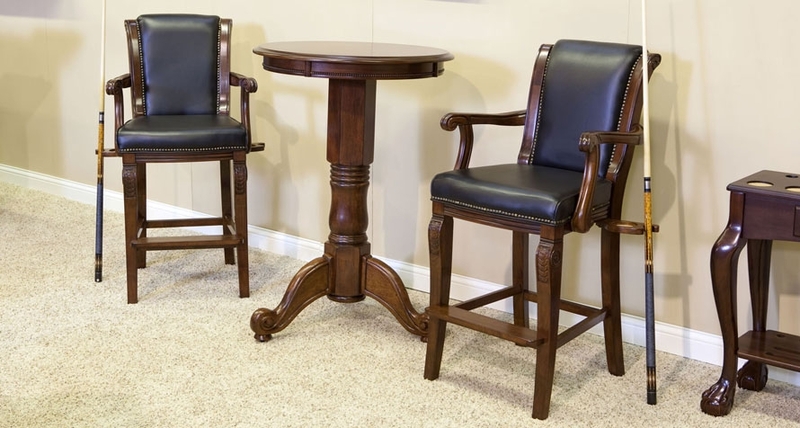 Not only are they comfortable and stylish, they also come specially made with duel drink and cue holders as well as intricately carved retractable wooden legs. *Base price only includes ONE chair, please add an additional chair to complete the set! Is this price for everything pictured? The price is for a single spectator chair. Does this chair come already assembled or does it has to be assembled? 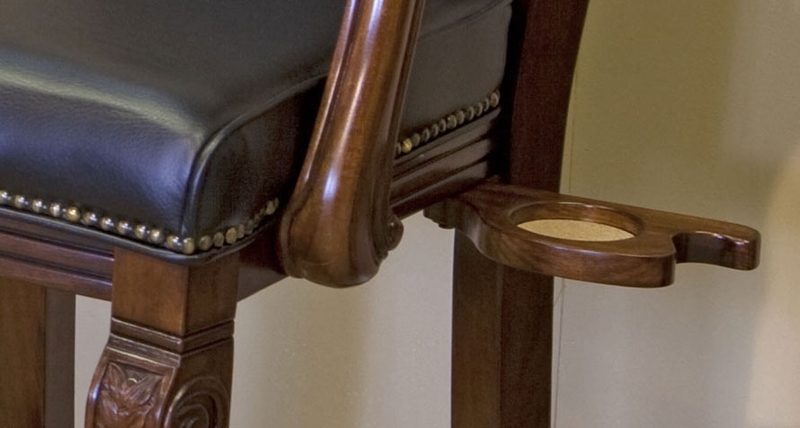 Our Spectator Chair with Carved Arms & Drink and Cue Holders, ships un-assembled but is extremely easy to put together. Assembly should take no longer than 15 minutes per chair and the chair shipping un-assembled will protect it from any type of shipping damage.